1. Choose one starter set from this page. 2. Select additional languages or stories from here, if you wish. 3. Read "How to Listen to Your LEX Audio Materials" here. CDs may be purchased through the LEX Fellow who facilitates your language club or by contacting the LEX office at info@lexlrf.org or (617) 354-1140. ​Please note prices below do not include applicable sales tax or shipping. The story of high school exchange students in Wisconsin, and their further adventures as college students and working adults. Includes scenes of everyday life such as introducing yourself, sports, classes and special events in high school, ordering food, traveling overseas, and attending a wedding. In the “Transnational Edition,” the language changes with the scene, stimulating both ear and brain, and making it easier to listen over a longer time period. Approximately 52 minutes per language or 6 hours in total. For families with younger children. 100+ songs and one adventure story. In the Kabajin 1 story, a Hippo boy named Kabajin meets many different animals as he goes on an adventure to discover his own identity. This story is presented phrase by phrase in language pairs. Over 8 hours of songs and stories. 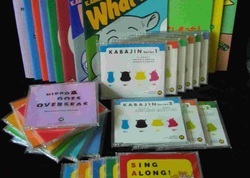 Folk songs and children’s songs in our basic 7 languages plus 15 additional languages. Over 100 songs in total. Deluxe set for families with younger children. 100+ songs and three stories. For people of all ages who just want to dive right in. 100+ songs and four stories. Additional languages and new stories can be added at any time. Please click below for more options. 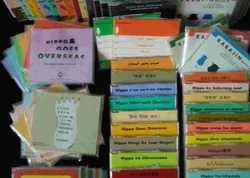 Hippo Goes Overseas (see above) and Kabajin 2. 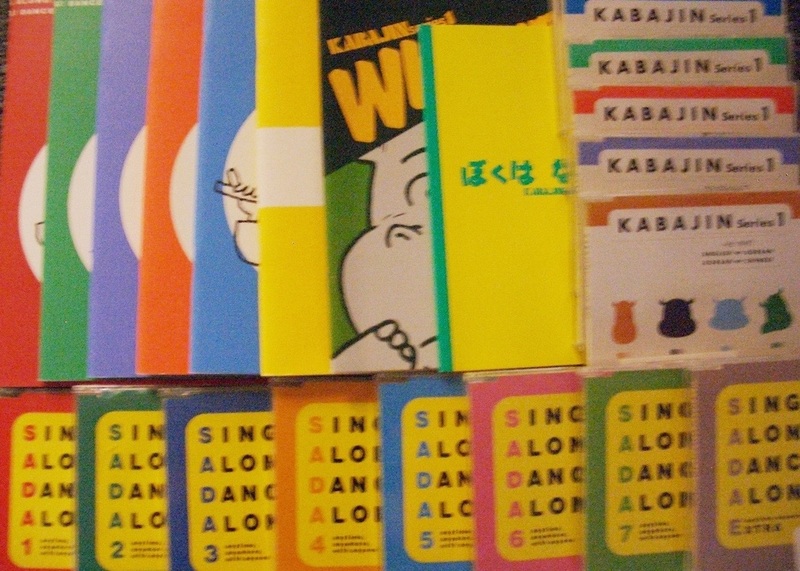 In Kabajin 2, Kabajin tries to stay awake all night to solve the mystery “Where does the night go?” This story is presented phrase by phrase in language pairs. Over 18 hours of songs and stories. Arabic, Cantonese, Chinese (Mandarin), English, French, German, Hindi, Indonesian, Italian, Japanese, Korean, Malay, Portuguese, Russian, Spanish, Swedish, Taiwanese*, Thai, and Turkish *Please note that there is no book available for Taiwanese. 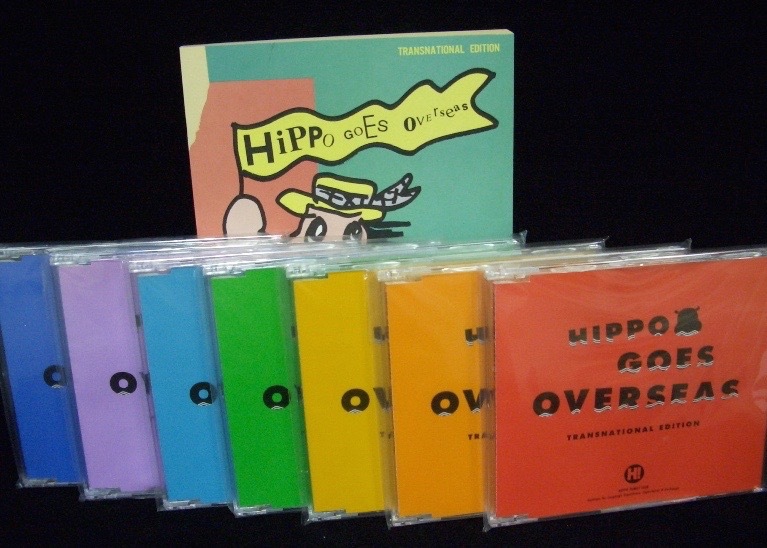 Includes everything in our Deluxe 7 Language Family Set, plus 12 additional languages. 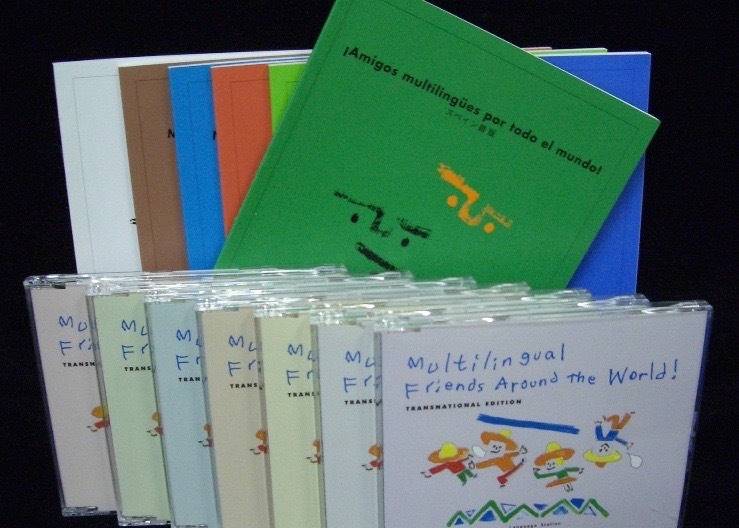 Anyone Can Speak 7 Languages is a collection of essays on language acquisition that contains more sophisticated vocabulary and concepts; each CD is in a single language. Over 50 hours of songs and stories. Listening to the LEX audio materials has made me realize the importance of life-long learning. No matter how many times we listen, we never tire of the stories and songs. There is always something new to learn! The variety has provided my family with a program that we can use for years to come.